In all my years working with BizTalk, my current employer is the first that I've had a real requirement for using Business Activity Monitoring (BAM). From a high level, we needed to provide the business with a real time view of all the different messages coming into and out of the Enterprise Service Bus (ESB) environment. Additionally, the business wanted to see some high level statistics of these messages like volume throughput, average size, and average time. To meet these requirements, we used two different solutions. 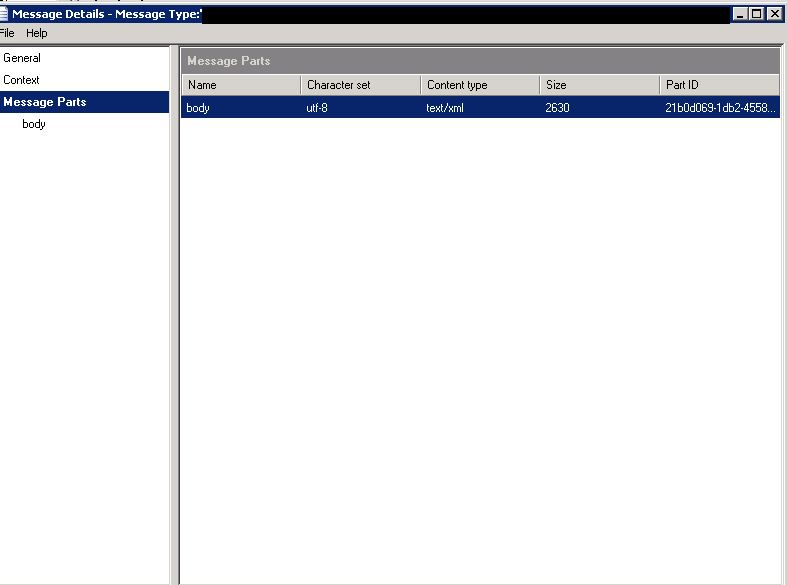 BizTalk BAM tracking was used to track the receiving and sending of each different type of message in the ESB. The second solution was a custom ASP.NET web site to display the information in a consolidated manner for the business users. I'll explain why we didn't use the out of the box BAM monitoring portal in a subsequent post. From looking at the above screen shot, the intent of the web page is to display a high level view of the different messages moving through the ESB. The information presented to the user on the site is based mostly off of the views created with BAM tracking. Each row shown above identifies a different subscriber to a particular message publication. While meeting the requirements of the business, it also gives some indicators to the health of each individual message in the ESB. *Note: Credit must be given to my then manager Darrick Johnson for creating the original web site. My next post will walk through the "how to" of creating the tracking for an individual message. 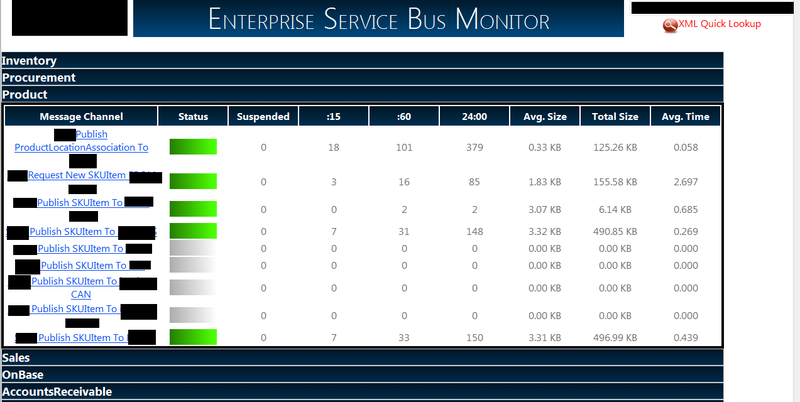 In my last post, I will look into more specifics of how the ESB monitor is organized and what it provides for the users. Here is something that tripped me up the other week. I was working on a Proof of Concept (POC) with BizTalk and writing XML messages to a RedHat Linux Network File Share (NFS). To connect to the NFS, I followed a great blog post How to connect to an NFS with Windows Server 2008 R2 by Randy Aldrich Paulo. Anyway, what tripped me up was the encoding of the files that were written to the server. On send ports, I usually use the "Out of the box" XMLTransmit pipeline component. However, this particular POC had a requirement to strip all namespace prefix tags from the XML elements contained in the message while retaining the target namespace on the root element. 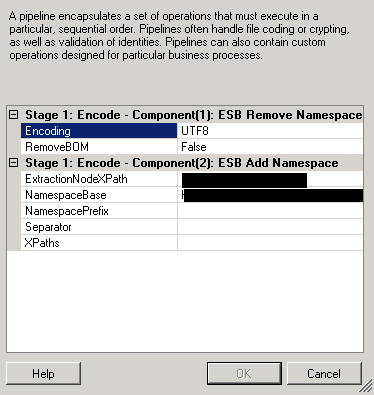 I thought, no problem, the ESB Toolkit has two pipeline components I can use to solve this. Specifically, I created a pipeline component that used the ESB Remove Namespace Pipeline Component and the ESB Add Namespace Pipeline Component. I run a test through and everything looks fine from a BizTalk perspective. I inform the Linux Administrator that a new XML message is available for him to review. He confirms the receipt of the file and I think life is good. So I run another test through and inform the Linux Administrator that a new file is available. He confirms the receipt but on inspection of the file the special character problem persists. Furthermore, he follows up with the fact that the encoding on the XML file is UTF-16 when they are expecting UTF-8. Again, I think to myself, shouldn't BizTalk be sending this message in UTF-8? So the Character set on the message looks to be "utf-8". I go back to the Linux Administrator and argue a bit with him until he finally sends me the output file from Putty showing the file properties. One of those properties being the encoding which was set to: Little-endian UTF-16 Unicode text. What??? How could this be? I check the documentation for the ESB Add Namespace Pipeline Component at msdn.microsoft.com and I can find no information about what encoding is used. 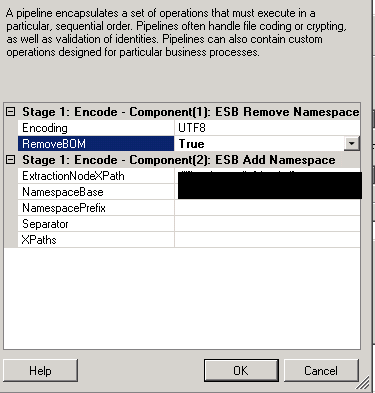 Apparently, the ESB Add Namespace Pipeline Component defaults the encoding to UTF-16. Additionally, the pipeline component has no property for setting the encoding (although the Remove Namespace Pipeline Component does). In order to resolve this problem, I had to create a custom pipeline component which adds a namespace to the root element and uses UTF-8 to encode the output. An interesting lesson on the Add Namespace Pipeline Component and something to keep in mind when leveraging it. It would be great if the Add Namespace Pipeline Component could be updated with a property to set the encoding, just like the Remove Namespace Pipeline Component. The first section of properties entitled "Adapter Behavior" are pre configured and I left the default settings alone. I haven't played around with these settings at all, but they revolve around how the send port handles exceptions and timeouts. The next section of properties to configure is under the title "Connection Properties". 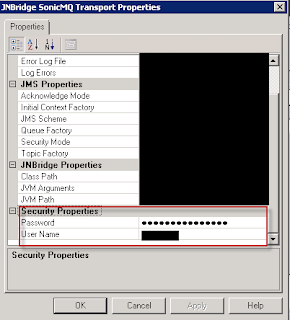 The Host Name and Port Number coincide with the JMS server you are connecting to and the port in which the JMS server is listening on. 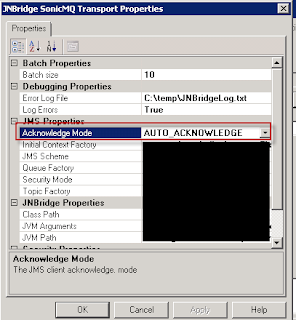 The third section is called "JMS Operation Properties" and have to do with the specific instance of JMS being connected to. 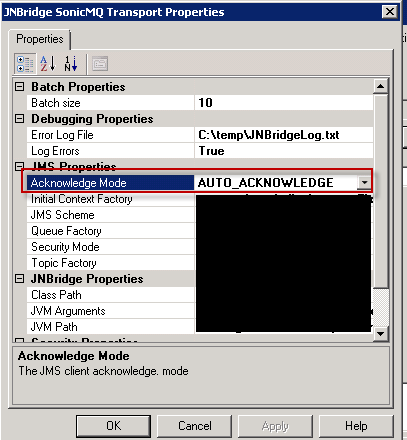 The JMS Object Name is the actual name of the Queue or Topic that messages will be sent to. 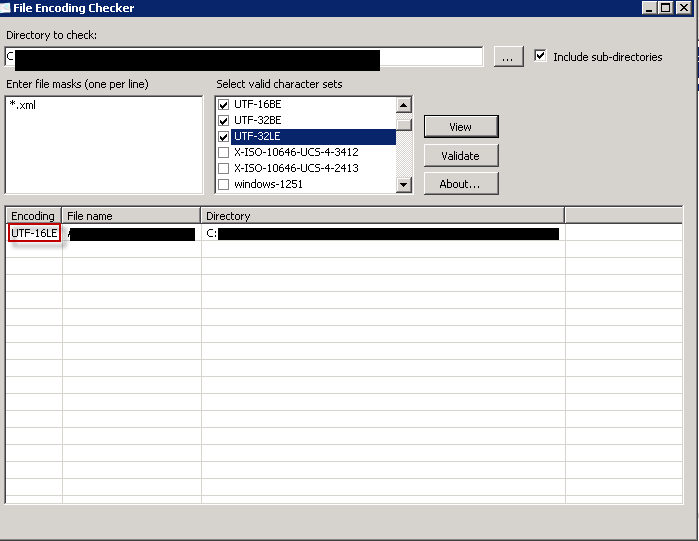 The JMS Object Type is a pull down list with either Queue or Topic. For Message Type, this is another pull down list of the different message types. In my case, I selected Text, but the options are: Bytes, Map, Text, Text ISO-8859-15, and Text UTF. Lastly, the Transactions Enabled property tells the port whether or not transactions are enabled. The last section is called "Overrride Transmit Handler Properties", and although I didn't configure these, I'm assuming you can use this to override what was configured in the JMS send adapter transport handler. 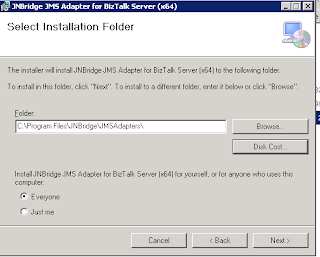 After creating the send port, you will need to spend some time getting communication between BizTalk and your JMS server working. Some of the less obvious issues you will run into could be security related but those are too environment specific to go into detail here. 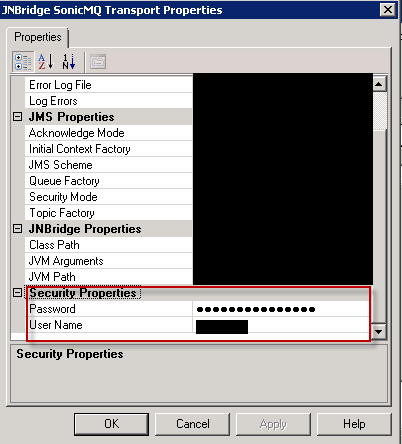 Additionally, you may run into issues with how the JMS server is configured. For instance, I had created multiple ports to communicate with the JMS server, but the server was configured to only allow one connection. This caused the JMS adapter to throw infrequent errors when trying to communicate. 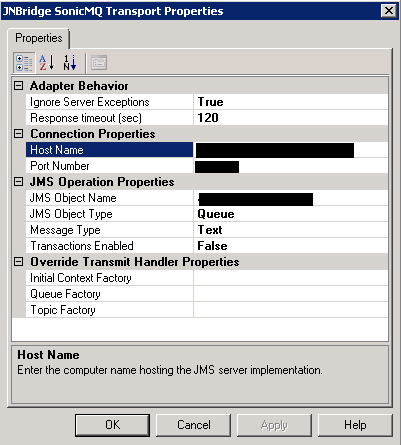 It took several tests to isolate the issue and change the configuration on the JMS server to allow multiple connections. Lastly, there are other aspects to consider before implementing the use of the JMS adapter. In my opinion, two of the more important aspects are that of security and cost. Depending on how mission critical this adapter is to your business, the former may weigh more heavily on the decision rather than the later. This was the case in my scenario. From a high level, this should always be in the back of your mind as to how to handle security with any adapter being used. In my opinion, defense in depth is always the way to go. If your unfamiliar with this term, it essentially means the more security you have, the better. Still, there are considerations to take, like whether messaging is internal only or external (meaning outside of your network). What kind of infrastructure support you have to help set up security. What type of data is being messaged could come into play as well. The only negative about this adapter has been the cost. Since my environment consists of migrating code through four different environments, there was a cost associated with the adapter for each environment. Since my current company leverages an integrated test environment that mimics our production environment, the cost for the adapter was even higher. This is something to consider before going forward with the adapter. All in all, I've been really happy with the adapter and how we were able to spin up a proof of concept fairly quickly. Not having any prior experience with integrating BizTalk and JMS, this adapter helped bridge that gap. It does a lot of the heavy lifting so that I didn't have to become an expert in JMS. The second post on the JNBridge JMS Adapter for SonicMQ will cover configuration of the JMS send adapter transport handler. If you haven't already read Part 1 , I suggest you do so before continuing. That post covers the installation of the adapter onto a BizTalk 2010 Server. 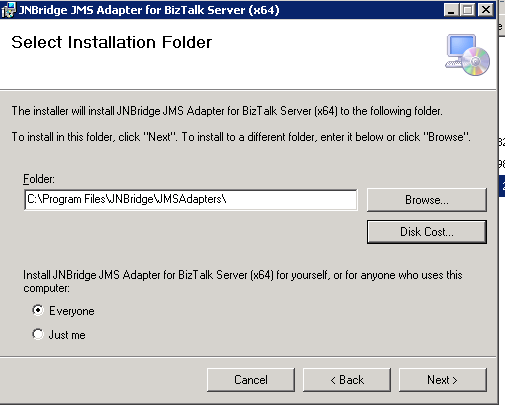 Although installation is pretty straightforward, the post also details how to get the third party adapter from JNBridge, as this adapter doesn't come out of the box with BizTalk. After installing the JMS Adapter, configuring the adapter falls into two parts. 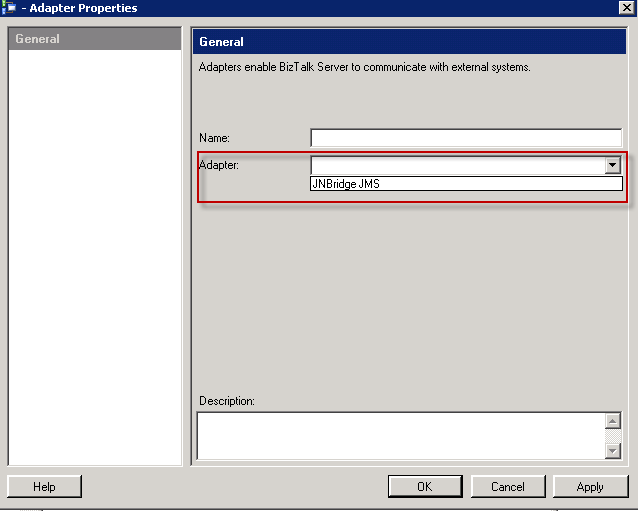 The first part covers configuring the send adapter transport handler and will be explained in this post. 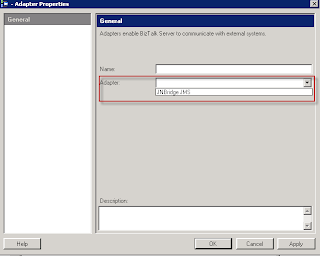 The second part will cover creating the send port in a BizTalk Application and will be detailed in a subsequent post. Setting up the JMS adapter for the receive transport handler and receive location should be very similar to the send handler and port and will not be covered. 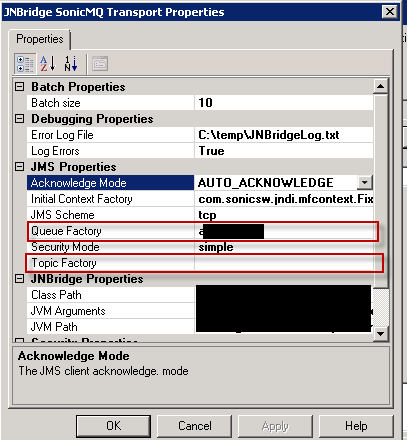 When configuring the send transport handler for JMS, there are several properties that are important and dependent upon the SonicMQ which is being integrated with. If your unfamiliar with SonicMQ (like me), it's important to have a detailed discussion with whoever is responsible for this application. Doing so will ensure the below properties are properly configured which in turn will save a lot of time and effort. 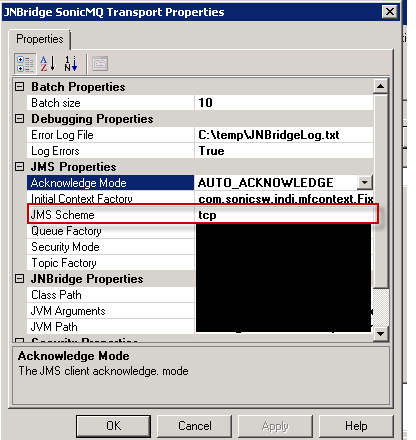 That is the last section of the JMS adapter send handler transport properties to configure. In the next post, I'll cover creating the send port in BizTalk Administrator and what you should consider before using the JNBridge JMS adapter. I recently worked on a Proof of Concept (POC) with BizTalk 2010 and integrating with a Java Messaging Service (JMS) queue called SonicMQ. Having never done this, I did a quick Google search to see if I could leverage any existing adapters. Luckily, there is already a a third-party JMS adapter created by JNBridge. They offer a 30 day trial version of the software, so I downloaded the install bits and went through the installation and configuration. I want to use this post to go through the installation of the adapter. I'll follow up with a second post on the configuration of the adapter. 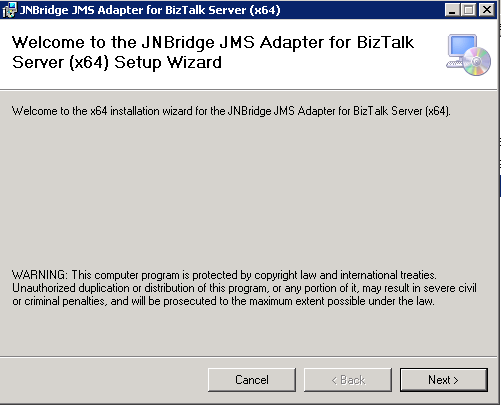 After giving the adapter a name and clicking the "OK" button, the installation of the JNBridge JMS adapter is complete. 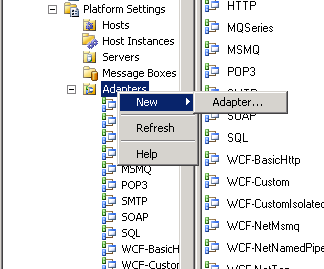 Don't forget to update the adapter to use specific hosts. If your like me, I have a different host for sending and receiving. 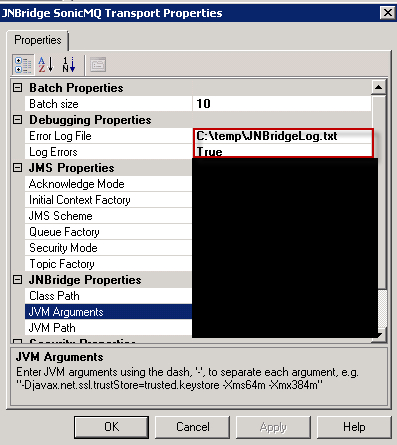 Lastly, the JMS Adapter requires an install of the Java Runtime Environment (JRE), which you can download from Oracle. Up next, the steps needed to configure the JNBridge adapter. In my particular instance, I am connecting to SonicMQ, but the JNBridge JMS Adapter can work with multiple vendors. 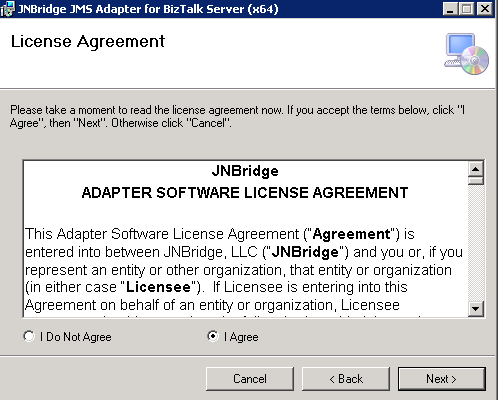 The JNBridge website has a list of those vendors and the supported JMS versions. It's important to check that list to ensure the adapter will work with your particular implementation.